Around 500,000 cubic metres of water will be transferred every day from the southern part of China to Beijing. This is part of an ambitious project to address the water needs of nearly five million residents in the national capital. According to Xinhua, China’s official press agency, the Guogongzhuang water plant in Beijing is now ready to receive and purify water that will be transferred via the south-to-north water diversion project. Five water plants in all, with an increased capacity of 3.72 million cubic metres a day, will serve the water diversion project. 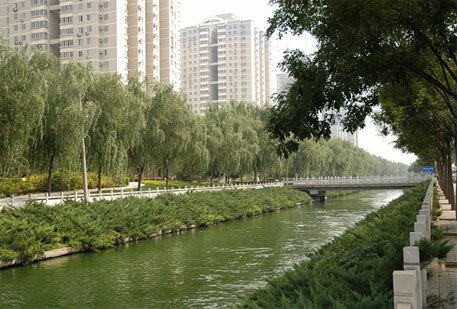 Water will be pumped through canals and pipes from the Danjiangkou reservoir in central Hubei province to the northern provinces of Henan and Hebei and to Beijing. The project is expected to address the severe water crisis in the northern part of the country. According to a report in Down To Earth, western analysts blame China’s faulty water and environment policies and intensive grain farming in the country’s northeast for the water crisis. The idea for such a project was proposed by Chairman Mao Zedong in 1952. It was debated over for nearly half a century and was finally approved in December 2002.